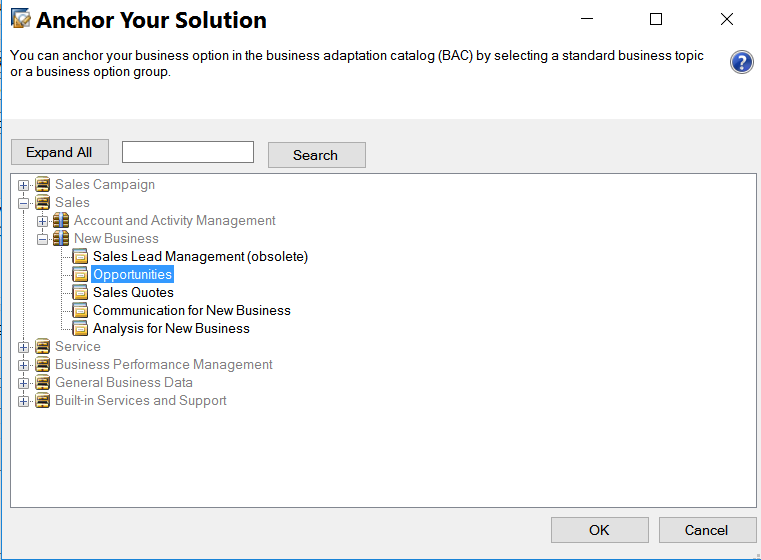 This blog is written based on release 1708. 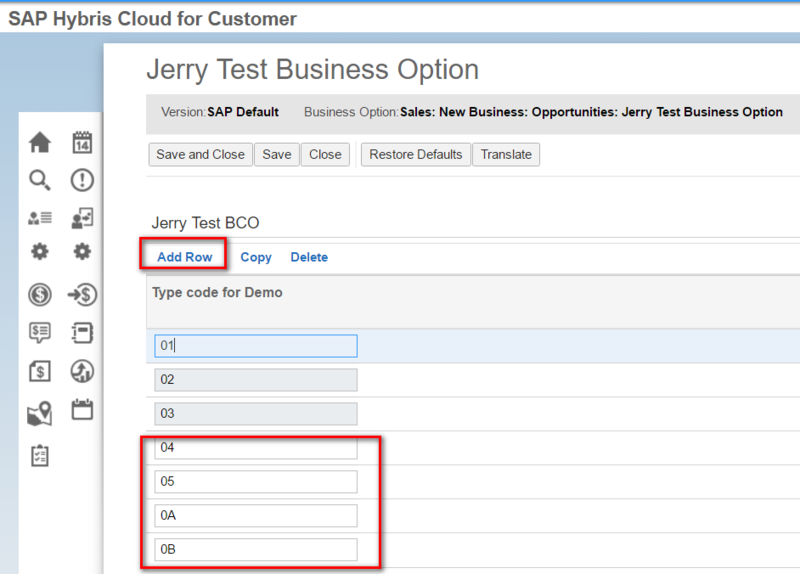 There are two approaches available in Cloud studio. 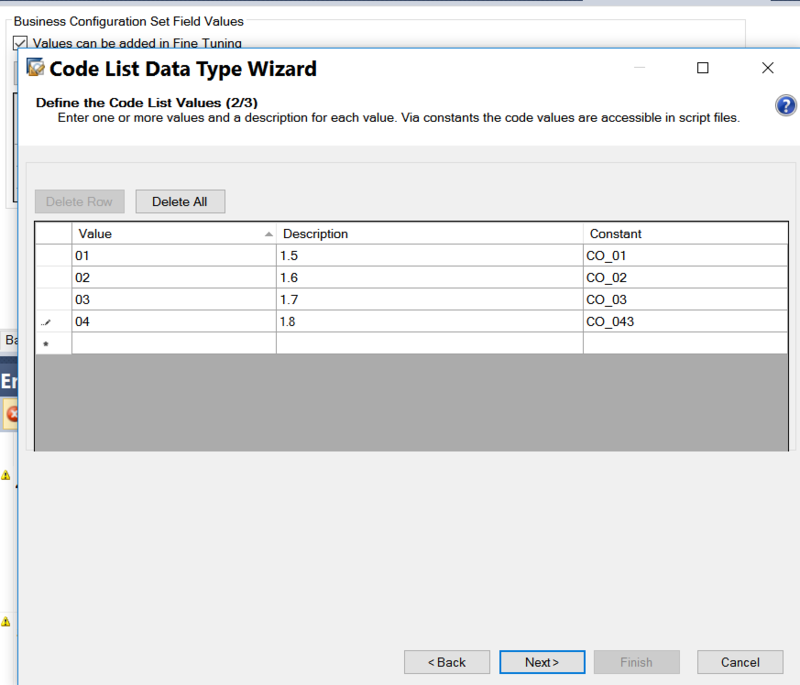 Save and activate the Code List, there will be a .codelist file generated which is then available to be used as data type definition of extension field. 1. 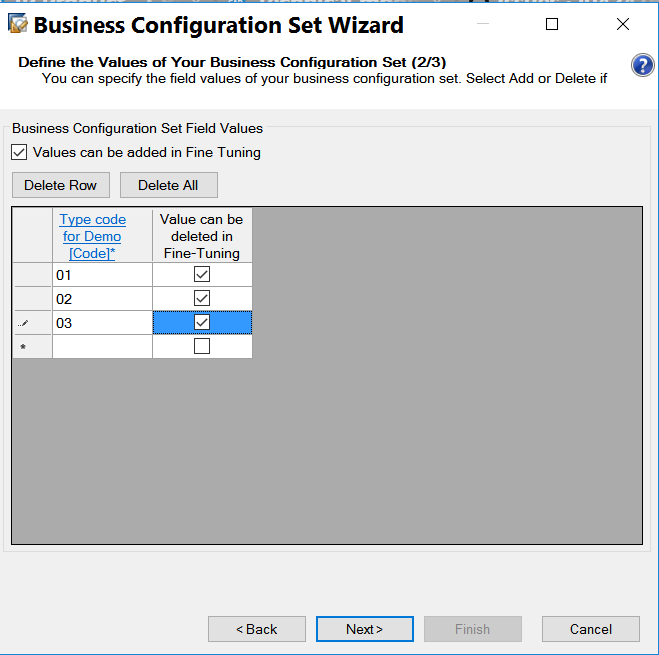 Create a Business Configuration Object via wizard from context menu. 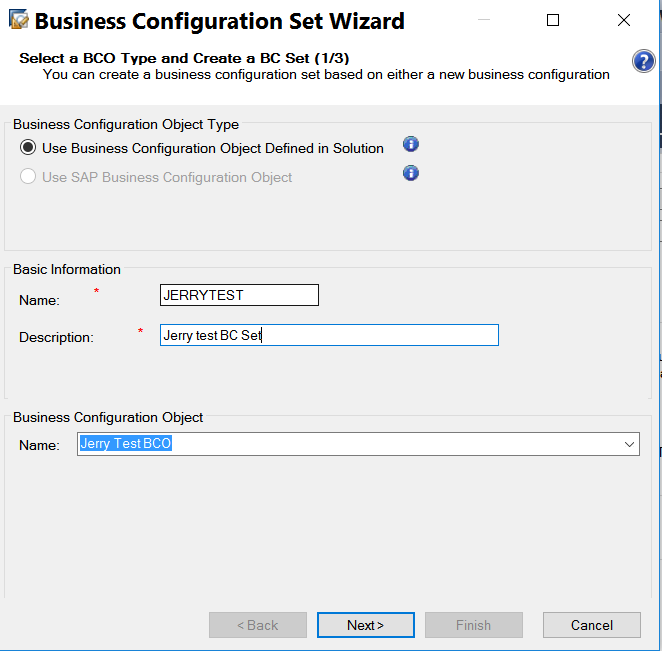 Save and activate the created BCO. 2. 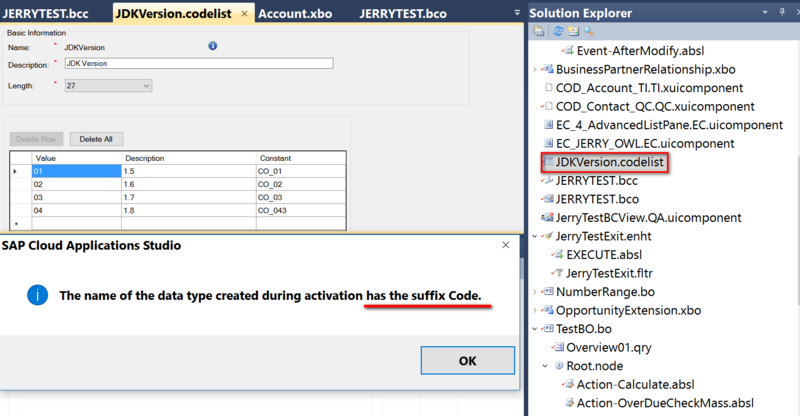 Create a BC set based on BCO created in previous step, in order to maintain the default entries for the Code List data type. 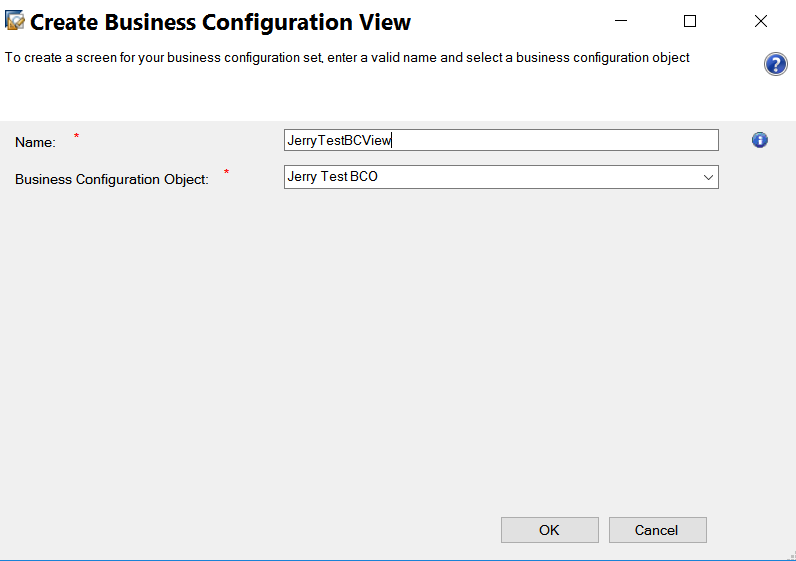 Select the created BCO and choose BC set creation from context menu. 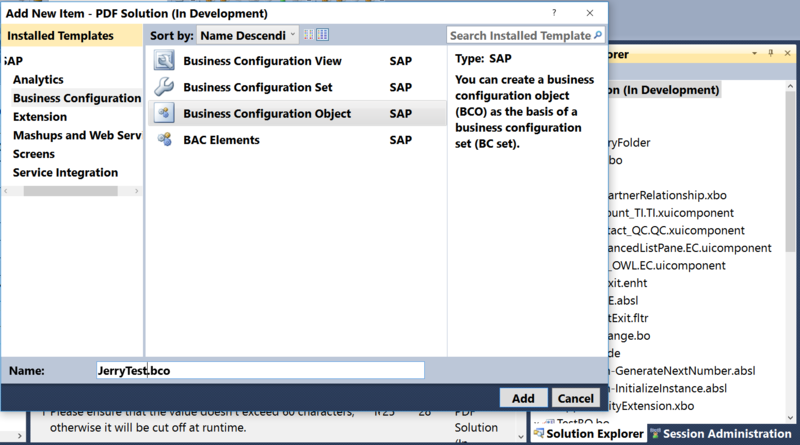 And append your BAC element to an existing BAC. 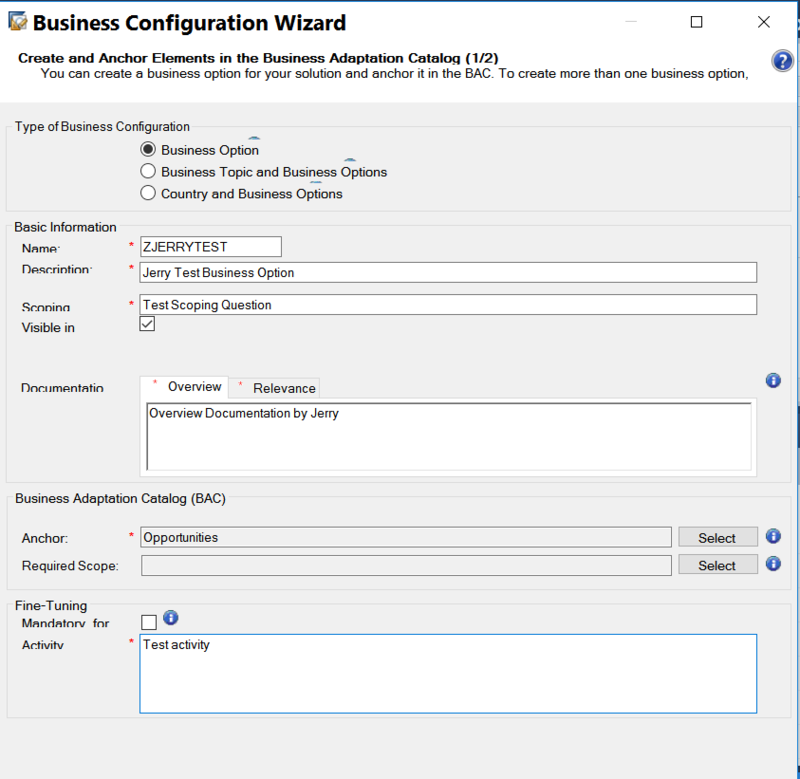 In this example I choose Opportunites which means in the Business Configuration activity, I can find my own business option from the path below. 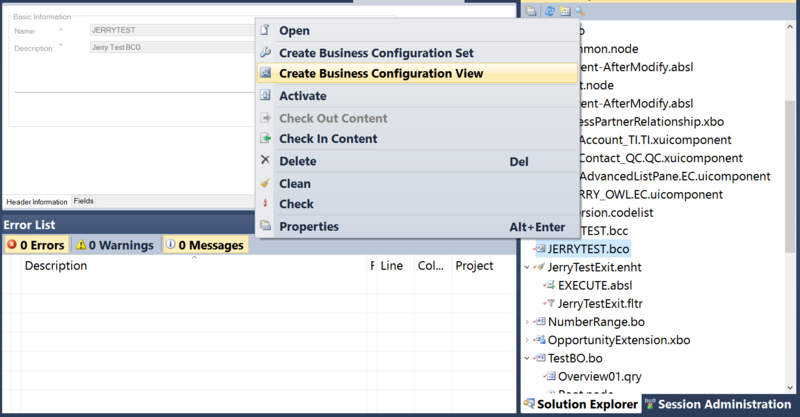 I use description “Jerry TestBusiness Option” which will be used later to search in Activity list. 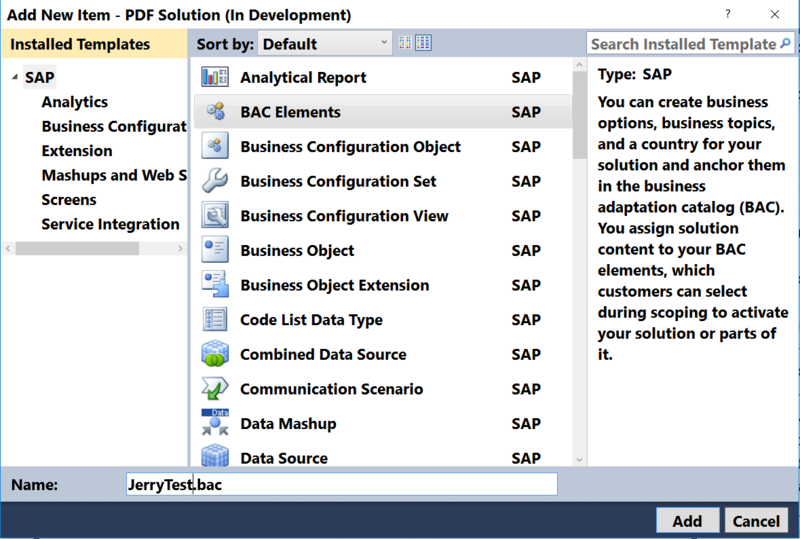 In the runtime, it could be find from Edit Project Scope in step4: Questions. Save the change, and those additional entries will be visible in runtime as well. 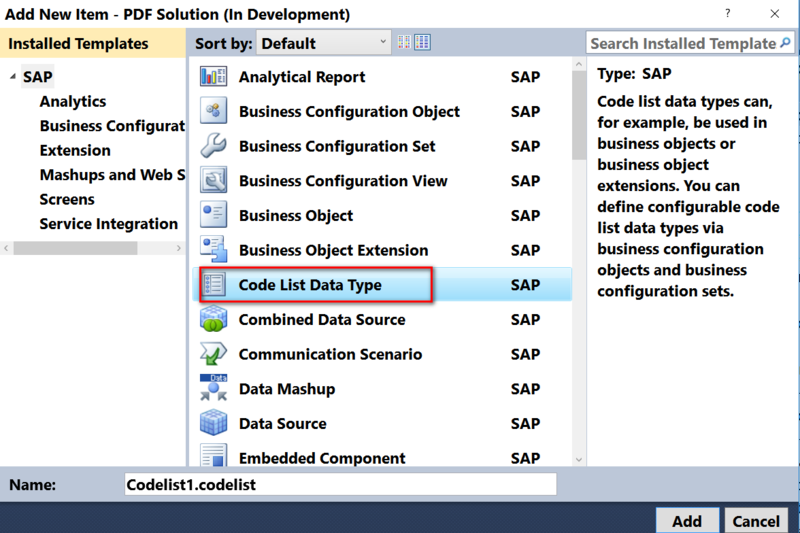 See my blog Create Dynamic Code List via Custom Business Object Association for the third approach to create dynamic Code List.